Download Background, Agenda and Speaker Biographies: Click here! #Beyond GDP – Statistics for Everyone is the Final Conference of the Web-COSI project. It highlighted ground breaking findings of the study, and examined practical ways data and statistics can shape growth and wellbeing. The aim was to include citizens (including young people) to become more actively engaged in social innovation. The future priorities and policy implications for a sustainable progress based on knowledge were examined by a panel of invited experts. Web Communities for Statistics for Social Innovation, a two-year coordination action (2014- 2015) funded by the EC-DG CONNECT within the call launched by CAPS – Collective Awareness Platforms for Sustainability and Social Innovation, stands at the forefront of the debate on well-being and societal progress. Web-COSI fosters citizen’s on-line engagement with well-being statistics. Information and communication tools allow large datasets to be viewed in near real time. Such visualizing of information and data access helps to bridge top-down and bottom–up approaches to statistics. Web-COSI is led by the Italian National Statistical Institute Istat (www.istat.it) – in partnership with OECD – the Organisation for Economic Co-operation and Development (www.oecd.org), Lunaria – a social entrepreneurship survey association (www.lunaria.org), and i-genius – a Social Entrepreneur Business and Enterprise Community in the UK (www.i-genius.org). The debate on how best to measure well-being and sustainable progress for social innovation brings together a number of stakeholders – National Statistical Institutes, Eurostat, International Organizations, Government, Academia – alongside civil organizations, social entrepreneurs, and communities at large. For example, one Web-COSI project result is the crowd sourced map of digital initiatives ‘beyond GDP’, a Wiki of progress statistics, a Youth Portal, and a European Wikiprogress University Programme. The project website also contains documents analyzing social innovations and the results of workshops, focus groups, seminars. The project results include a platform showcased at the recent 5th OECD World Forum on Statistics, Knowledge and Policy in Mexico in October 2015. All extensive activities are fully documented on its site Web-COSI. Download Draft Agenda and Speaker Biographies: Click here! 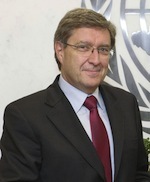 Enrico Giovannini is an Italian economist and statistician, member of the Club of Rome. Since 2002 he is full professor at the Rome University “Tor Vergata”. He was Minister of Labour and Social Policies in the Letta Government, President of the Italian Statistical Institute, Director of Statistics and Chief Statistician of the OECD. He is Senior Fellow of the LUISS School of European Political Economy, Visiting Fellow at the EPSC, Vice-president of the High Level Group on Competitiveness and Growth of the European Council, Co-Chair of the “Independent Experts Advisory Board on Data Revolution for Sustainable Development” established by the UN Secretary-General, member of the European Statistical Governance Advisory Board responsible for supervising the functioning of the European Statistical System and of boards of several Italian and international institutions. In October 2014, the President of the Italian Republic made him “Cavaliere di Gran Croce al Merito della Repubblica”, the highest ranking honour of the Italian Republic. He is author of more than ninety articles and four books on economic and statistical topics. Loretta is a programme officer with the European Commission, DG Communication Networks Content & Technologies, Net Innovation Unit. An Italian citizen, she earned a BA from Sussex University (UK) and a PhD from MIT . She taught there and worked five years at the Media Lab. She published in the domain of internet policy (access pricing, broadband, multimodal interfaces, and more recently on social innovation and emergent behaviours. She was invited by the Australian government to help launch the first EU S&T Agreement (Israel, Canada and others followed since then). Dr Anania was twice elected Chairman of the Board of the International Telecommunications Society (www.its-world.org) . She is scientific editor for Communication & Strategies journal (IDATE France). She is on the Steering Board of QoMEX (www.qomex.org) quality of experience metrics. Her projects include CAPS WebCOSI, Impact Assessment, P2PValue, CHEST, and WeHubs, a Startup Europe initiative to support female founders in digital startups. Paul is Deputy Director of Statistics at the OECD. Together with the Chief Statistician he oversees the activities of the OECD Statistics Directorate, and interacts with heads of statistical offices on matters of statistical policy. His own research and publications relate to national accounts, measurement of productivity and green growth. He also acted as rapporteur in the Stiglitz-Sen-Fitoussi Commission on the measurement of economic performance and social progress. He studied at Innsbruck University (Austria) and the University of Birmingham (UK) and holds a Ph D in economics. 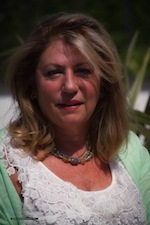 Donatella is a Senior Statistician at Istat (Italian National Statistical Institute) is Head of the “R&D Projects Unit” in the Directorate of Development of Information Systems and Corporate Products, Information Management and Quality Assessment. She is the scientific co-ordinator of the EU FP7 Web-COSI project (www.webcosi.eu). The main topics on statistics recently treated at international level include: the integration of official and non-official data; the role of Web 2.0 platforms and networks for better statistics; Big Data and Open Data; new measurements on well-being and societal progress. She has coordinated several SSH FP7 projects. Among these: e-Frame project European Framework for Measuring Progress (www.eframeproject.eu); BLUE-ETS Enterprise and Trade Statistics (www.blue-ets.eu). 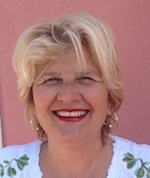 She is the coordinator of the European Network on Measuring Progress – sponsored by the EC within e-Frame project. She has been speaker and chair at many International workshops and Conferences. Speaker at the 5th OECD World Forum on “Transforming Policy, Changing Lives” (13-15 October 2015, Guadalajara, Mexico) and at the 4th OECD World Forum on “Measuring Well-Being for Development and Policy Making” (16-19 October 2012, New Delhi). She held several lectures at University level. She has published many research papers in peer-reviewed journals and conferences proceedings and many articles in International and National journals. A detailed CV is available at http://www.blue-ets.istat.it/fileadmin/deliverables/CV_DFazio.pdf. Tommy was National Treasurer/chair or European Students Bureau and a director of Endsleigh Insurance before working in the City of London for ten years covering a series of roles from being an aerospace analyst, European market intelligence, Political Adviser to the NatWest Group. He became Director of the Industry Forum developing relations between the business community and governments in UK, Brussels and USA as well as leading two delegations to the World Trade Organisation in Geneva. He founded i-genius in 2007, the World’s largest community of social entrepreneurs with members in over 200 countries and projects in almost 40 (including with the European Union and OECD). He co-founded the Global Centre for Healthy Workplaces and is a Visiting Fellow at Liverpool Hope University and an honorary adviser to Hunan University (Changsha). He co-authored a booklet entitled ‘A risky business’. Romina heads the Monitoring Well-Being and Progress Section of the OECD Statistics Directorate. In this role she is mainly responsible for the analytical and statistical work behind the OECD Better Life Initiative, including Your Better Life Index and the report How’s Life? Measuring Well-Being. She is also in charge of the statistical pillar of the OECD Inclusive Growth Initiative, a new OECD horizontal project that seeks to develop a new vision for inclusive growth that combines economic growth with well-being. Recently she started working on a project on well-being and Big Data and on a project on experimental measures of trust. She has been member of various working groups on measuring quality of life and well-being, as the Eurostat Expert Group of Quality of Life and the WHO-Euro Well-Being Expert Group. She previously worked as Economist in the OECD Economics Department, working on human capital, efficiency of public services and the Italy/Norway desk. Before this she worked in the OECD Social Affairs and Employment Department, carrying out analysis on well-being and deprivation. She holds a PhD in Economics from the Ecole Polytechnique (Paris). Her research interests include well-being, distributive justice and social norms, education, experimental and behavioural economics. 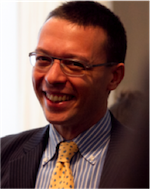 Filippo Addarii, born in Italy and leaving in London, has been developing multi-stakeholder networks for public good across borders since 2001. Complexity and uncertainty are his natural environment. European policy, innovation, philosophy, history and art are his staple. He’s senior Fellow of the European Center for Leaving Technologies (University Ca’ Foscari Venice, Italy); Senior Fellow of the Global Climate Forum (Berlin, Germany); Senior Fellow of Agirre Center for Social and Political Studies (Bilbao, Spain); member of the Advisory group of the Hub Launchpad (UK); board member of the French movement of social entrepreneurs; board member of Nethical.it; and member of the expert group on social entrepreneurship of both the European Commission and Italian Government. He’s Goodwill Ambassador of World NGO Day. He’s got a degree in philosophy at the University of Bologna, a master degree in NGO management at the University of Urbino, and executive education certificates from Cass Business School, INSEAD and Harvard. 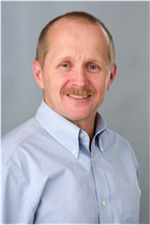 Laszlo is currently Professor in the Department of Environmental Sciences and Policy at the Central European University in Budapest, Hungary and Senior Fellow and Associate at the International Institute for Sustainable Development in Canada. He joined IISD in 1994, and served as the Director of the Institute’s Measurement and Assessment Program between 2003 and 2010. 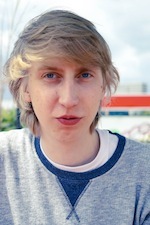 He has been with CEU since 2010. Laszlo is best known for his work on sustainable development indicators and strategies, integrated assessment, sustainability reporting and synthetic global outlooks. He works worldwide with governments, multilateral organizations, companies and communities that seek to translate sustainability from theory into practice. Currently his main interest is in the implementation strategies of sustainable development goals and related transition pathways that could help keep the Earth System and human society in a safe operating space. Laszlo has a PhD from the University of Minnesota. 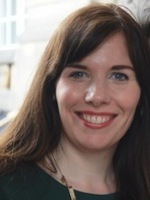 Kate has 11 years’ experience at the OECD, working in the Public Affairs and Communications directorate as a campaign manager, and since 2008 in the Statistics Directorate as a researcher working on issues of progress and well-being. Kate has been closely involved in the OECD’s work supporting ‘beyond GDP’ statistics, first through the Global Project on Measuring the Progress of Societies, which she represented at conferences and workshops around the world, and in the last three years as a member of the Better Life Initiative research team, where she has written papers on societal progress indicators, vulnerability and resilience, the measurement of social capital, as well as contributing chapters to the flagship ‘How’s Life?’ publication. Kate has a Masters in International Political Economy from LSE and has a strong interest in the role of civil society in influencing national and international policy, which was the topic of her masters dissertation. Kate is responsible for managing the team working on Wikiprogress and the associated Web-COSI deliverables. Martin was born in New Zealand and, has university academic qualifications in Physics, Sociology, Development Studies and Economics. He specialises in inter-disciplinary research on the ‘interfaces’ between society and environment and, on the multi-media interface between material and ‘virtual’ realities. After more than 10 years of university research, teaching and applied social science research in New Zealand, he took up a post of Professor of Economics at the University of Versailles St-Quentin-en-Yvelines in 1995. He has more than 120 scientific publications, many of a trans-disciplinary character. He was the founding editor of the International Journal of Water (an inter-disciplinary scientific journal published by Inderscience since 2000) and, has also been a key member of the editorial team for the International Journal of Sustainable Development (IJSD) from its inception in 1997. With the KerBabel™ team first based at the C3ED and REEDS and now ‘in the Cloud’, he has been a pioneer of Internet-based technologies for collaborative learning, knowledge mediation and deliberation support in the fields of environmental education, ecological economics and sustainability. 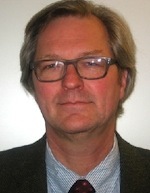 He has played a key role in building up interdisciplinary graduate teaching programmes at the UVSQ and internationally. Duccio Zola (PhD, “Sapienza” University of Rome) is a researcher and member of the Executive Committee of Lunaria, an Italian association for social promotion whose work is focused on research and action-research, training and communication on several issues such as fair economy and social innovation, youth participation and active citizenship, migrations and human rights. He also joins as researcher the Sbilanciamoci! campaign, a coalition of 46 Italian CSOs led by Lunaria and active on the fields of well-being, sustainable development, inclusive growth. His academic interests revolve around political philosophy and political sociology, with a specific attention to the theory of democracy and to democratization processes. He has been teaching assistant at the LUISS University in Rome, Faculty of Political Science, and has carried out research activities in national and European projects. He has written on well-being, democracy, social movements, the participation of civil society’s actors in settings of local and supranational governance. 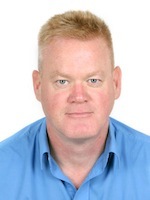 Barry is a specialist in online marketing, digital media, social media and consumer engagement communications with combined success in education and business training both in the UK and Japan. He has worked on local and international projects and campaigns across a range of industries with a particular focus on social and environmental related businesses, education, well-being and workplace health. 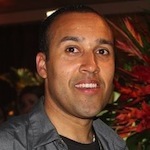 Before his social entrepreneur pursuits, Barry gained the accolade of best film student at Middlesex University under Joose TV’s Creative Director, developed international youth engagement strategies for One Young World, was adviser to Japan Board of Education in re-writing the national English curriculum, and a winner of the Oxford Health Alliance’s Fit City competition in redesigning urban landscapes in Sydney, Australia (and adviser on the summit youth panel and resulting network, 3Four50). 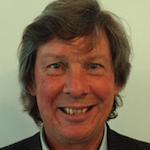 Barry currently manages and co-ordinates the marketing strategy and digital communications for Web-COSI, Global Centre for Healthy Workplaces and i-genius. He also is the author of Replug YOU – a pocket guidebook for busy people seeking work-life balance and a holistic well-being solution for mind and body. 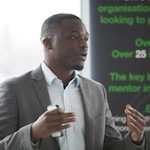 Jide is Animation Director / Video Marketing Consultant & Founder at Aniboxx. Just before Jide finished studying animation, he was scooped up by leading Soho production house THE MILL, where he trained as a Junior 3D animator on such shows as Primevel for ITV and Merlin for BBC 1. He soon set up his own succesful award winning production company, Aniboxx, and has never looked back, growing to a team of 7 dynamic creatives in video production and marketing. Aniboxx has clients such as Google, Skype, O2, PWC, Sony Playstation & MR Men… just to name a few. Jide is not only passionate about video production, but the exposure and dissemination of their videos. His favourite tag line in advertising is: “Content is King, but Distribution is QUEEN and she wears the pants. Fidel Thomet is an Interaction Designer who fell in love with visualizing data. He is located in Zurich, Switzerland, where he studied Interaction Design at Zurich University of the Arts from 2011 to summer 2015. Before that he lived in Munich, Dresden and Berlin. During his studies Fidel worked as a freelance designer and creative developer, making, among other things, data visualizations, apps and interactive installations. Since September 2015 Fidel works as an intern at Open Data Zurich, which is part of Zurich’s Statistics Office. There he gains further experience in analysing and visualising data by creating web-based applications and interactive visualizations to explore and to show further possibilities for using open government data. Besides his love for data, Fidel is also interested in modern web technologies, connected devices and new forms of human computer interaction.